The Kroger employee who shot and killed a robbery suspect last month will not face any charges, the Marion County prosecutor said Wednesday. Prosecutor Terry Curry says he’s reviewed the case involving Elijah Elliott and has determined there is no basis for any charges to be filed against him. I also like that Kroger still hasn’t fired the man, despite his violation of their short-sighted anti-gun policy. According to witnesses and surveillance footage, Atkinson walked up behind an unarmed security guard and stuck an object in her back, ordering her into the back office. As the two walked towards the office, a second Kroger employee was leaving the office and saw Atkinson holding the security guard in a headlock. Atkinson was wearing a mask. The second employee told police that Atkinson grabbed her a choke hold and had her up against a wall. That employee yelled for Elliott. When Elliott responded, Atkinson let go of the woman and charged at Elliott, who shot Atkinson. The Marion County prosecutor says under Indiana law, the shooting was justified to prevent the commission of a forcible felony (robbery and criminal confinement) and based upon Indiana law pertaining to self-defense and defense of others. At the time of the attempted robbery offense, Jeremy Atkinson had an outstanding warrant out of Marion Criminal Court 1. In that case, Atkinson was charged with Robbery, as a Class B felony, as well as multiple counts of criminal confinement. He received a six-year executed sentence on that case and had been released to community corrections. He violated community corrections, and on February 24, 2011 a warrant was issued for his arrest. That warrant was outstanding at the time of this incident. This is a VERY clear cut defensive shooting in my eyes. A known violent criminal, committing a violent act with something he was passing off as a weapon, as well choking a woman and charging at the man who shot him. Of course our opponents choose to see it differently. Well the new year has started out where the old year ended. It all started with this article about the shooting at an Indiana Kroger’s food store. A store manager shot and killed an “armed” robber. Now mind you, this robber was no nice guy. He had several previous offenses and he was clearly a felon. Did he have a gun? Did he intend bodily harm? Was the clerk in immanent danger? Should the manager have been allowed to have his gun at work in violation of Indiana law? Should the manager, a gun permit holder, have shot the robber point blank? Could the robber have just taken the money and run as is the case in many armed robberies? How should employees react to such incidents? Do employers want guns in the work place? If not, who does? Is it a good idea for employees to be armed at work? Opinions vary. Certainly the antis would prefer the criminal to live and the innocent to die. 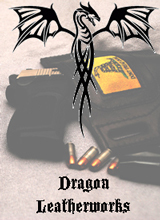 This entry was posted in DGU, Guns, Safety, Self Defense. Bookmark the permalink. Q: Did he have a gun? A: Doesn’t matter, Robbery is a forcable felony in Indiana. Q: Did he intend bodily harm? A: Doesn’t matter, Robbery is a forceable felony in Indiana. Never mind that he was already DOING bodily harm, and that usually when a “robber” moves his victums to another place that means that he’s planning on going beyond mere robbery. Q: Was the clerk in immanent danger? A: Doesn’t matter, Robbery is a forcable felony in Indiana. AND yes, the felon poked something into her back, and got her in a choke hold. A threat of death was at very least implied by his actions, victums are allowed to believe such threats and act upon them. From the standpoint of the victum, it doesn’t legally matter if the gun was real or not. It only matters if it was reasonable to believe that the gun existed, and in this case it was. Q: Should the manager have been allowed to have his gun at work in violation of Indiana law? A: Um… check your sources on that sweet cakes. I think you are wrong on the law here. Admittedly I am not a shark lawyer, and I don’t know Indiana law very well since I live in Florida, so there is a tiny little chance that I am wrong. Not a very big one mind you. I did some reading into Indiana firearms law a few years ago because I was going to be spending a week there visiting a friend. I think I would remember a “no guns at work” law because it’s just that weird. Q: Should the manager, a gun permit holder, have shot the robber point blank? A: I don’t believe he was given a choice. I’m pretty sure a polite “would you stand over there so I don’t have to shoot you at point blank range” would have been very impolitely ignored. Q: Could the robber have just taken the money and run as is the case in many armed robberies? A: Sure, but he didn’t. He chose not to. Instead, he grabbed an employee and tried to move her to the store’s office. If he would have grabbed the money and gone, it doesn’t look like he would have encountered Mr. Elliot (and his gun) at all. Q: How should employees react to such incidents? A: Buy Mr. Elliot beer? Q: Do employers want guns in the work place? A: Some do, some don’t. Q: If not, who does? A: OH OH ME ME!!!! Law abiding citizens should be allowed to carry the tools with which to defend themselves should they choose to do so. Q: Is it a good idea for employees to be armed at work? A: Sure, if they want, provided the employee is not a prohibited person and can do so in a safe manner. At the end of the day. The bad guy is dead, and the good people are all alive. Anyone who has a problem with that outcome needs to re-check their priorities. That was full of win. As an Indiana resident and someone who was at that Kroger today. There’s no legal prohibition on carrying in that building. I also like that shooting “point blank” is somehow a detriment. Would Joan have preferred that Elliott ran away from the robber and hostage and shot at a further distance? It remains to be seen what Kroger will do. But it is interesting, and by interesting I mean predictable, that Joan sees the problem lying with Elliot and not the violent robber. “Q: How should employees react to such incidents? LOL – best. answer. ever. I’ve never been fortunate enough to meet Mr. Gura but I will sure as hell be glad to pay for his food and drink if I do. Take a number. Would it kill her to say that it was a good shoot? Joan wouldn’t admit that the Sun Rose in the East if it violated her World View. She’s had too many Facts shoved down her throat to say that Guns need to be Banned, yet she persists. So, bottom line with her is this: A) She’s Delusional and can’t deal with Reality, or B) She’s Sane, and is a Shill to the Traitors who wish to destroy the Republic by Disarming its Citizens. If A), she needs to be Locked up until she can become Sane, or B) she’s a Traitor who’s part of the Progressive/Socialist/Communist “Kill the Jews” movement within this Country, yet who can Hide behind the First Amendment. It’s very easy for Monday-morning quarterbacks such as ‘japete’ to come in, after everything has died down, learn facts that the people on the spot didn’t know, and proclaim that they should have acted differently. The people on the spot assumed their attacker had a gun; it would have been suicidally foolish to assume anything else. As such, Elliott, who by the grace of God (and his own good sense) was armed, did the only thing he could do when he was charged: he assumed that the attacker intended him serious harm, and acted accordingly. It would be interesting to determine, for someone on the anti-gun side of things, when a shooting stops being A Bad Thing and becomes A Good Thing. In this case, Good Guy shot Bad Guy because Bad Guy had attacked others and was about to attack him too; seems pretty clear-cut, but obviously that’s not good enough. If Bad Guy had already (God forbid) shot and killed some innocent victims, would deadly force be justified against him then? How about if Bad Guy was threatening a basketful of kittens at the time? How about if he then threatened to run with scissors, deface library books, and return videotapes without rewinding them? In all seriousness, where would an anti-gun person draw the line, and why? Much can vary depending on the actual caliber used, but given a typical 9mm load in a compact pistol, “Point-Blank” would occur at about 10 yds on the initial intersection of trajectory and sight alignment, and at roughly 60 yards on the secondary intersection with the bullet’s decending trajectory. Secondary could be a bit less with a .45 ACP, a lot less with a .380, or even double that with a 10mm or .357 Mag. So, according to the reporter, the perp was somewhere between ten and one-hundred and twenty feet away? Oh, yeah…..forgot….. ballistically ignorant reporter doesn’t realize that the perp was in “contact” range, which is much, much closer than “point-blank”. And I’m not just picking nits. I’d imagine that the average reader would really get the “idea” of the threat if given a proper description of “contact range”, meaning “the threat is UPON you”. Juries ought to hear it that way, too. Stuart the Viking – That, sir, was the finest example of sacking and pillaging I have seen in quite a while. “Point blank” is a really good range for shooting at violent attempted-robbery goblins – makes it easier to hit them in a vital spot, much less likely you’ll miss. Its generally an ideal range for defensive shooting. Of course so many people have completely misused that term. Anything outside of point-blank on my pistols is pretty much outside the range of my skill. I have my FAL set up so Point Blank is essentially from muzzle to about 125 yards. Within that most ammo will mark within 2″ of elevation which is “Good Enough” for a quick shot. No surprise my polite and logical comment was not allowed on Joan’s “fair and unbiassed” blog. God forbid anyone gets confused with the facts. If they can’t control the discussion they don’t want to have it. Its the anti-freedom way, and you should quit being uppity and obey the wishes of those who are proven to be deceitful, stupid, and short-sighted! I consider it a point of honor that my comments on certain wall posts on the Brady FB page cause said wall posts to go down the memory hole. I’ll have to start screencapping these things. I only ask that the SWAT team raids her hippie commune instead of a verteran for a change. I love how she throws out all those questions, but offers no solutions. She’s sad that someone was shot with a gun, but offers no alternative to address the situation. Her ilk’s only solution is that, well more guns is not the answer. Common Sense seems to be something she’s lacking. You are carrying a Springfield XD-40 Sub-Compact loaded with 180gr BONDED Ranger Talons, and you are an expert shot. You have mere seconds before he reaches you and your family. · Well, that’s not enough information to answer the question! · Does the man look poor or oppressed? · Have I ever done anything to him that would inspire him to attack? · Could we run away? · What does my wife think? · What about the kids? · Could I possibly swing the gun like a club and knock the knife out of his hand? · What does the law say about this situation? · Does the pistol have appropriate safety built into it? · Why am I carrying a loaded gun anyway? What kind of message does this send to society and to my children? · Is it possible he’d be happy with just killing me? · Does he definitely want to kill me, or would he be content just to wound me? · If I were to grab his knees and hold on, could my family get away while he was stabbing me? · Should I call 9-1-1? · Why is this street so deserted? · We need to raise taxes, have paint & weed day. · Can we make this a happier, healthier street that would discourage such behavior. · I need to debate this with some friends for a few days and try to come to a consensus. · This is all so confusing! BANG! BANG! BANG! BANG! BANG! BANG! BANG! BANG! BANG! BANG! BANG! BANG! BANG!